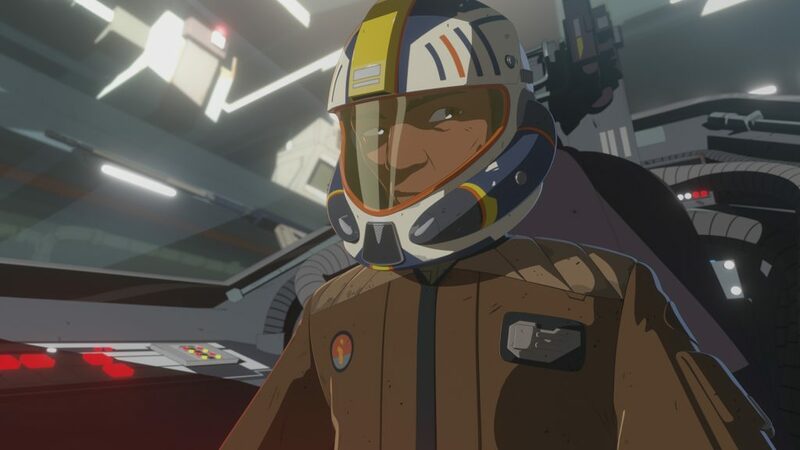 The ninth episode of Star Wars Resistance, “The Platform Classic”, touched on a trope universal to the franchise…family. Yeager’s brother arrives, touching a nerve that leaves the audience wondering why friction exists between the two. This is arguably the deepest episode to date from an emotional perspective, though everything still seems to be resting lightly on the surface. 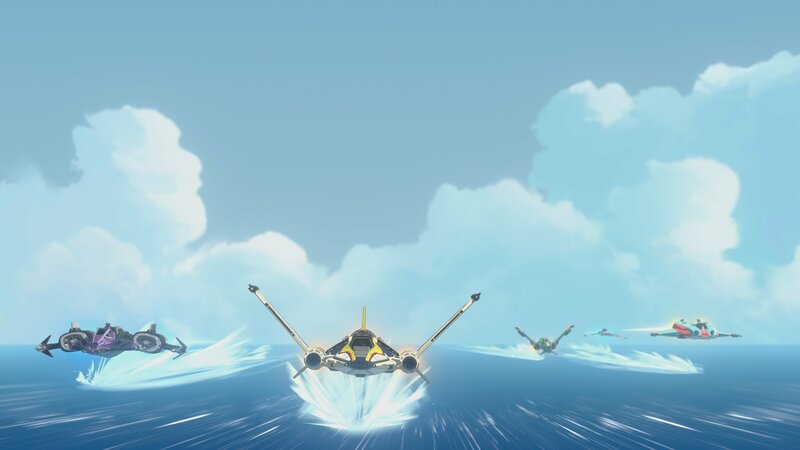 We all know family is the focal point of Star Wars at its core, and this latest episode of Resistance centers around just that. Yeager’s brother Marcus Speedstar arrives and we find out a bit more about Yeager’s past which has shaped him into who he is now. We come to find out that like Han Solo, Marcus is in deep with the Guavian Death Gang, owing them a sizable chunk of credits. Marcus enters the “Platform Classic” race, which begrudgingly includes Yeager, with Marcus needing the prize money to pay off the Guavian Death Gang. The racing aspect of the show was high-energy and very entertaining. I only wish the story and the episode’s conclusion was able to keep up. The story fell flat, a victim of predictability and perhaps inevitability. 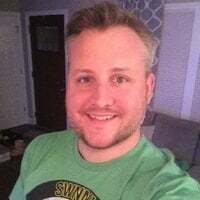 Without spoiling it too much, i’ll simply ask you this question: Do you think there is any chance, regardless of who wins the race, that Marcus isn’t walking away with the money to pay the Death Gang? Exactly. The action was great, it was fun, it was Star Wars! It felt a bit like watching the podrace from The Phantom Menace. The problem for me is the story fell flat. But that might be the intent so to speak. 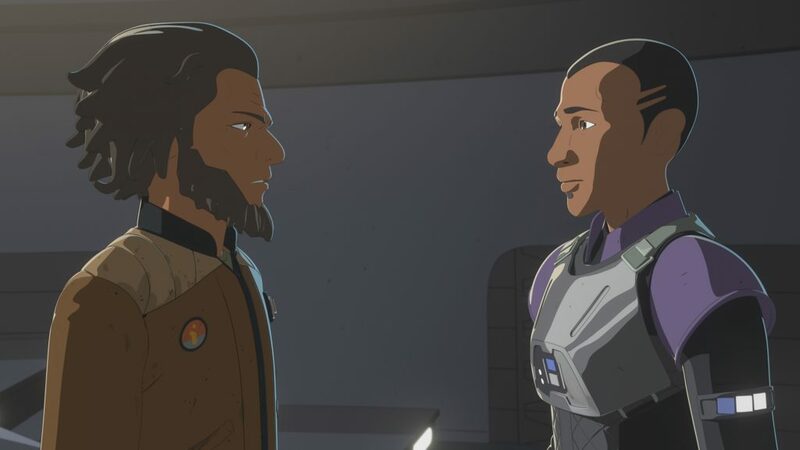 It’s possible the purpose of Resistance is one-dimensional morality tales for children, and if that’s all it intends on being then it is absolutely perfect. But if the ultimate goal of the series is to become a canon-enriching entry in the franchise’s timeline, it leaves a lot to be desired. Each week I am seeing potential plot setups that vanish the following week. It’s getting late early, and I am hoping Resistance ramps up some sort of ongoing conflict to keep me along for the ride. Though as I said, if its purpose is to simply serve as a linear series of morality tales for kids, that is perfectly understandable and okay with me! I am just not sure the series knows what it wants to be yet.